What does a Crime Scene Investigator do? What skills, knowledge and abilities are required? What education and experience is needed to qualify for the job? Also, read over the material on the Crime-Scene-Investigator.net (this website). There is a variety of information that will help you understand the job of a Crime Scene Investigator. One article, Duty Description for the Crime Scene Investigator, by Mike Byrd of the Miami-Dade Police Department Crime Scene Investigations Unit, gives a good description of what a Crime Scene Investigator does on the job. One of the best things you can do is to contact agencies in the geographical area you wish to work and find out what their Crime Scene Investigators do on the job, what their minimum requirements for applying are, and how often the have job openings. Are there Crime Scene Technician jobs available? According to the U.S. Department of Labor, Bureau of Labor Statistics, a "forensic science technician" is a person employed to "collect, identify, classify, and analyze physical evidence related to criminal investigations" (this would include crime scene technicians who work in the field and technicians who work in the crime laboratory). The Bureau's Occupational Outlook Handbook, 2010-11 Edition, states: "Jobs for forensic science technicians are expected to increase by 20 percent, which is much faster than average. Employment growth in State and local government should be driven by the increasing application of forensic science techniques, such as DNA analysis, to examine, solve, and prevent crime." The report also points out: "In addition to job openings created by growth, many openings should arise from the need to replace technicians who retire or leave the labor force for other reasons." In 2006 CNNMoney.com named forensic science technicians in its list of the Top 10 Fastest-growing Fields, where it ranked at number six. This website posts job openings. There are usually about 500 openings posted at all times. 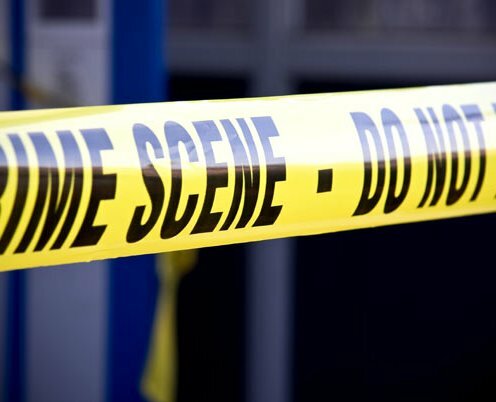 These listings include Crime Scene Investigation and Forensic Science jobs. You can read through the job openings on the employment page to see what types of jobs are available, and what the requirements are for the different positions.